Campagna Large Candle - DISC Shop the largest selection of Michel Design Works large candles and more - Campagna Collection. Plus enjoy free ground shipping on all orders over $50. 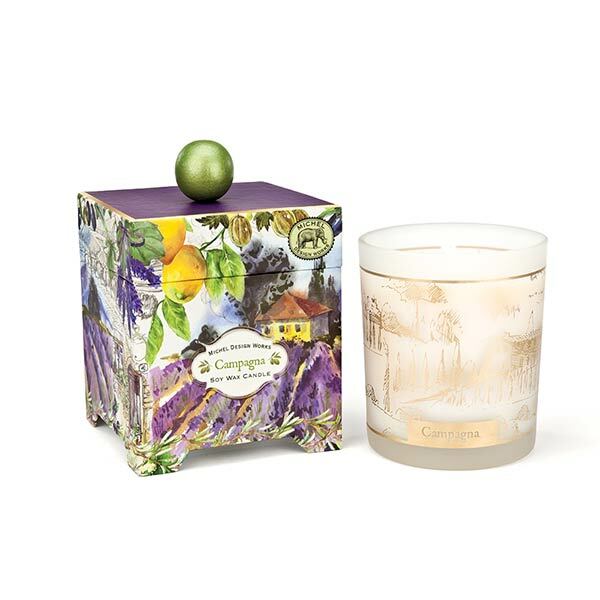 This large eye-catching candle comes in a printed glass container housed in a decorative box with a wooden ball top. Our handmade, all-natural candles are 100% soy wax, a renewable resource that's nontoxic, biodegradable, and burns clean. 14 oz. / 397 g. 65-80 hour burn time.